This set is a collection of requested tiles from the community. It was crafted as a celebration of the DungeonPrint.com design studio and the many faithful patrons who have made it possible. This set is a free release for them, one of the many we deliver each and every month to our loyal community. Specifically, this set commemorates DungeonPrint hitting 100 patron. We name this set after you, our first Centurion of printers! We'll do another set like this one at 200, gods and good health willing. 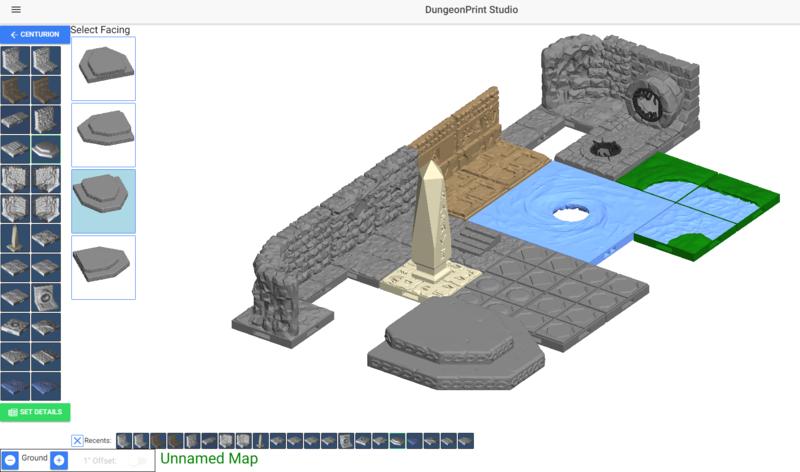 Tiles shown for mapping in DungeonPrint software. I purchased this to get the broken sewer grate, but the zip file doesn't include the sewer grate, the whirlpool or the shoreline. They don't show up in the 3D preview on the product page here either. But the readme mentions the sewer grate. Did you accidentally leave it out of the zip file? I apologize and I will get it added shortly. I have updated it with the whirlpool and sewer grate, however another artist has the Shoreline tiles. I'll get them added as soon as I can. I apologize again for the inconvenience and appreciate your understanding.